UPDATE: This line of cameras was successful a couple of years ago, however it’s no longer considered state-of-the art in 2015 and we are not recommending it any more. If you’re looking for a good low cost dash cam, check out the G1W-CB or A118-C instead. The DVR-207 is an upgraded version of the hugely popular DVR-027. Essentially, the firmware of the camera was upgraded to eliminate gaps between video files that the DVR-027 suffered from. The DVR-207GS additionally has been fitted with a G-sensor. Otherwise, the technical characteristics are the same. Video quality is the same as in the DVR-027, decent at day, average at night, but all in all good enough for a camera of this price. The DVR-027 is known to be very reliable, however as the DVR-207 is quite new, there is not enough feedback available form customers to be sure about its reliability. The DVR-207 supports date & time stamps, loop recording, and auto on/off. There is also a motion detection function, however has been reported to cause gaps between video files which this camera was initially designed to avoid, so if you do notice gaps you may want to turn motion detection off. 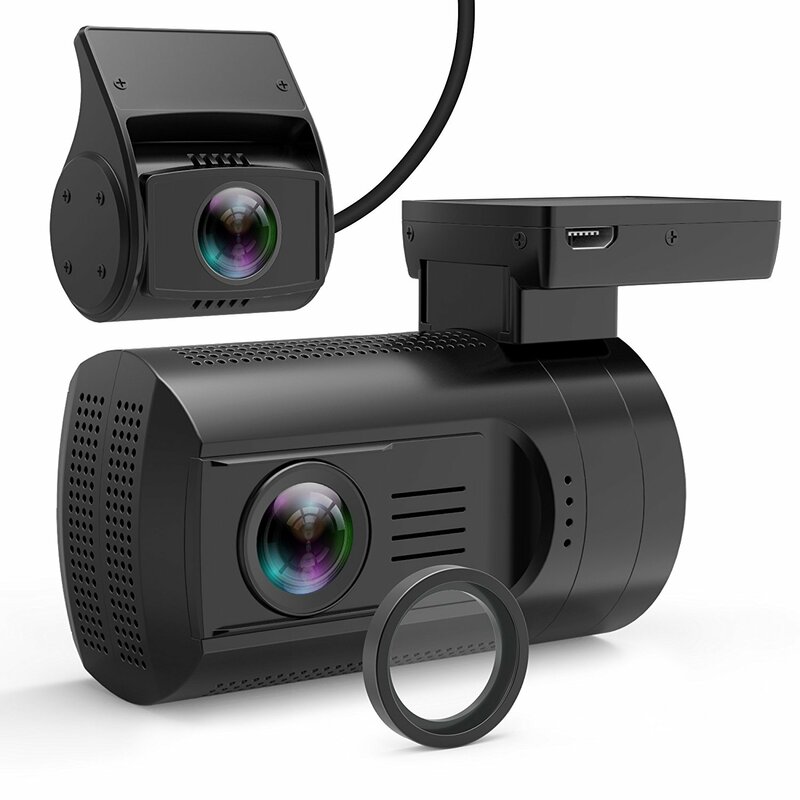 Like the DVR-027, the DVR-207 has 6 infrared LEDs for better video quality at night, but these are useless when recording as a dash cam as the light from the LEDs causes reflections on the wind shield. Therefore the LEDs should also be turned off. Overall this is a decent camera for the lower price segment. If you want a camera that just does its job reliably and are not too keen on great video quality, the DVR-207 is an excellent choice. If you’d rather get a 1080p camera which is pretty much the standard these days, check out the G1W which is in the same price range as the DVR-207, or if you are okay to spend a bit more consider the Mini 0801 which is great value for around $100. The DVR-207’s video quality is quite good considering it is a rainy day and the maximum resolution is 720p. License plates can clearly be read when close. While its night time video quality is probably not going to win any artistic prizes, the DVR-207 does do an acceptable job at night, even in rainy weather. The DVR-207 has gone out of production and is no longer available.